Choosing the right moving provider when you’re planning a long distance relocation is essential, whether you’re moving for a job opportunity or to be closer to friends and family. At BBB-accredited Simonik Moving & Storage, we’ve offered premier moving services to help you have an exceptional experience since 1977. 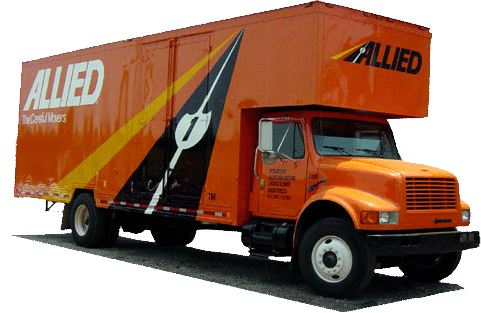 When moving from NJ to Columbus, you can feel confident knowing that our team is an award-winning agent for Allied Van Lines, a leader in transportation that gives us access to a nationwide network of moving and storage professionals that are capable of handling any household move throughout the United States. From small apartment relocations to the challenge of packing and transporting a large estate, your moving company should be able to provide full-service solutions to get the job done right. To guarantee that you get the service and support you need, Simonik offers a free, in-home estimate and support of a personal Relocation Coordinator. This moving specialist will navigate you through each stage of the process when moving to Columbus from New Jersey, and answer any questions you have along the way. For secure short and long-term storage that guarantees the security of your belongings, turn to the team at Simonik. By packing your items in containers designed for safe, long-distance shipping, we can transport your household goods safely when you’re making a move from New Jersey to Columbus. Whether you need storage for a few days or several years, we have a plan to fit your needs and your budget. Simonik is proud to offer service throughout North and Central Jersey, including Hunterdon, Mercer, Middlesex, Monmouth, Morris, and Somerset counties. We’re committed to professionalism within the industry, and we’re proud to have been a past recipient of the “Mover of the Year” award from the New Jersey Warehousemen & Movers Association. As a ProMover member of the American Moving and Storage Association, our team stays up-to-date of all requirements for relocation from NJ to Columbus, guaranteeing that you have an ideal experience. Would you like to learn more about the premier moving solutions offered by Simonik Moving & Storage? Just give us a call today to speak with one of our relocation specialists! You can also get started with your free NJ to Columbus moving estimate by submitting our simple online form now.